Risk and uncertainty are hallmarks of trading, but they create stress. 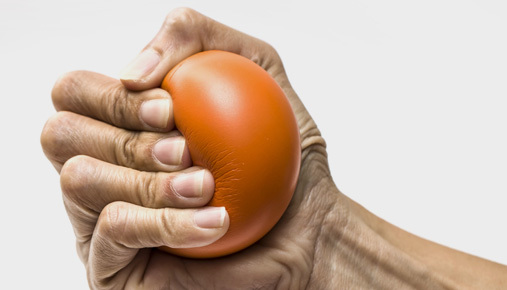 Learn four ways to manage stress in trading and investing. Sometimes the best starting point for a trading system or even a general approach to the markets is to look within. No matter what your trading style, the way you manage stress could make a difference in your profit and loss. Last week we talked about three lifestyle factors that traders can control. This week, we dive deeper into a specific challenge most traders face: stress. Risk and uncertainty are hallmarks of trading, and they create stress, says Dr. Gary Dayton, a trader, clinical psychologist, and the founder of TradingPsychologyEdge. He is also the author of Trade Mindfully: Achieve Your Optimum Trading Performance with Mindfulness and Cutting-Edge Psychology. "Stress rises when we feel we lack control over a situation. We cannot control the markets, and we assume risk on every trade—the outcome of which is always uncertain. The changing nature of the markets also adds stress. We may adapt to a certain market direction or volatility, and when that changes, our confidence can crumble and stress rises as we scramble to understand a new market environment," Dayton says. Stress levels can vary from trader to trader. "I have seen some traders experience very mild levels of stress. Others—and this may be more common—can experience moderate to high levels of stress. Stress can be so serious for some traders that their blood pressure shoots up while trading but remains normal while not trading," Dayton says. On the physical side, stress contributes to hypertension, cardiovascular disease, sleep problems, obesity, headaches, depression, anxiety, accelerated aging, and premature death, Dayton says. On the mental side, stress can cause us to act in unconstructive ways. "We might not take a trade under the throes of stress. We might also carry a losing trade too long or trade too large to assuage the stress we feel from a prior loss. In a word, unchecked stress can cause us to be erratic," Dayton says. Understand that stress is natural and helps us be alert when we’re exposed to the risks and uncertainties of the markets. Don’t fight the stress or try to make it go away. When we aren’t open to accepting stress, and try to fight it, not only does it tend to amplify uncomfortable feelings, it also distracts us from a trade. Practice mindfulness and get some exercise. Both are incredibly powerful stress busters. Be open to making trading mistakes and having losses. These are opportunities to learn about the market and about yourself as a trader. Being open creates an important shift from an unwanted threat to something of value that can be embraced, and, in the process, help us be less stressed and better traders. When it comes to trading tools, thinkorswim® by TD Ameritrade isn’t just the average Joe platform. It gives you innovative technology and cutting-edge features. TD Ameritrade and Dr. Gary Datyon are separate and unaffiliated, and are not responsible for one another's policies, services or content.